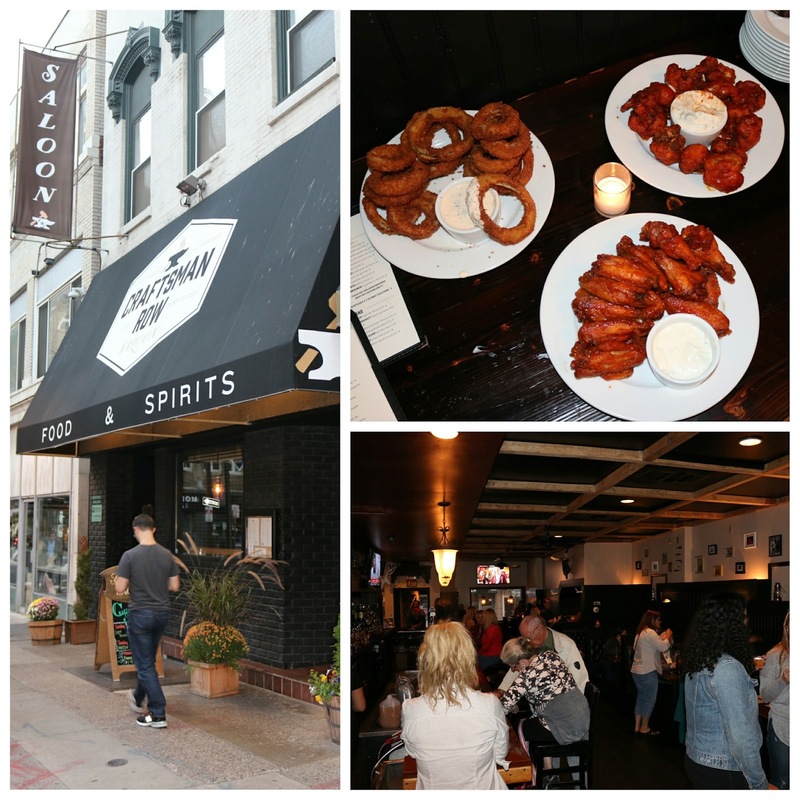 Located in Philly's Jeweler's Row, Craftsman Row Saloon is nearing its one year anniversary with owners George and Vasiliki Tsiouris at the helm. Yes, the same brother and sister duo that brought you Midtown Village hotspots Opa and Drury Beer Garden! I was able to stop by for a media event to try out their bar menu, along with a few seasonal drinks and surprises! The drinks were definitely on trend. 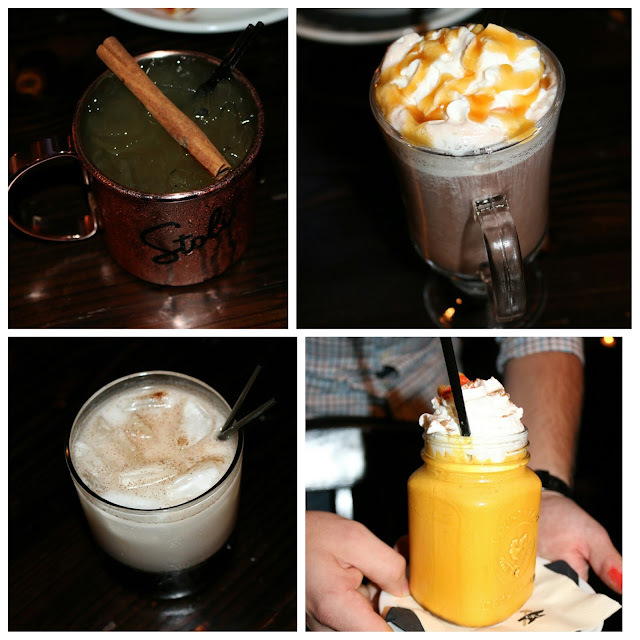 From Pumpkin White Russians (callin' all my #PSL girls) to caramel apple spiced cocktails to whet and warm your palate, Craftsman Row Saloon has got your Happy Hours covered in seasonal delight! With saloon as part of its name, Craftsman Row has plenty of bar bites to keep you satiated. Chili chip nachos will set you right on Game Day. And who doesn't like homemade mozzarella sticks? 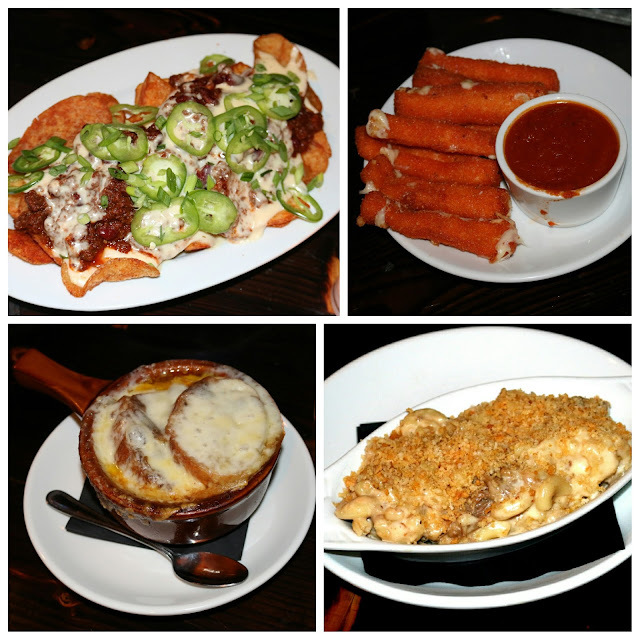 Be sure to take your pick between their French Onion soup and brisket mac n cheese - either of which will give you a taste of homemade flavors. There are also a variety of burgers on Craftsman's menu. Rep' South Philly with the "Stallone," which features smashed burger patties, ham, genoa salami, capicola, sharp provolone, and red pepper relish. The Mac Daddy is clearly a crowd pleaser with gooey mac oozing out from the griddled patties. Fried chicken's also on the menu, with a Southern-style biscuit on the side. Speaking of sides - the buffalo cauliflower bites are a sleeper hit! 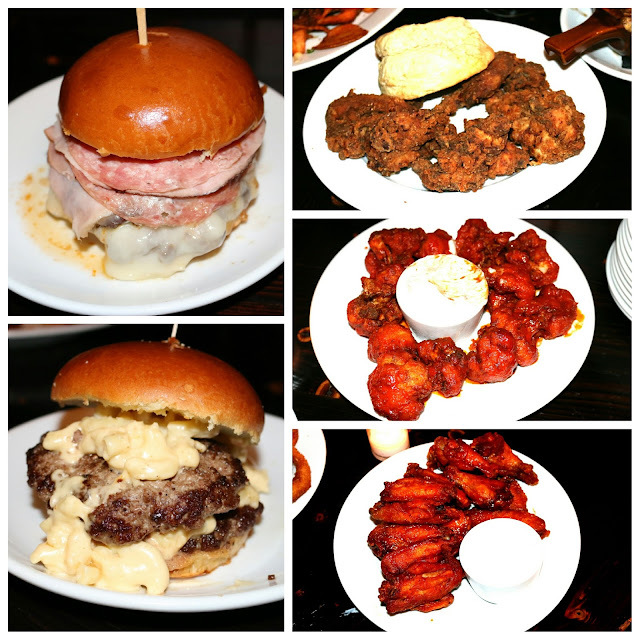 So if you're looking for a Game Day bar or Happy Hour spot, make sure to give Craftsman Row Saloon a try! There's plenty of room and the bartenders are friendly. Definitely a bright spot considering Jeweler's Row isn't known for being an oasis of food and drink. FTC Disclaimer; I attended a media preview event hosted by Bondfire Media. Thanks to Marie for the invite. Regardless, my opinions are mine alone and, therefore, unbiased.